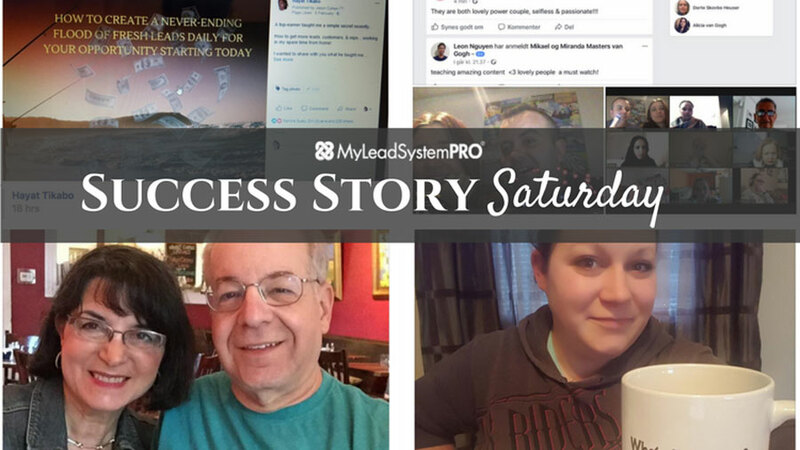 Home » MLSP News » MLSP Reviews & Results » [Success Story Saturday] “We Made It To 10,000 Followers! [Success Story Saturday] “We Made It To 10,000 Followers! Power couple Brian Garcia and Erin Nicole Bick are to say the least…LIVING THE DREAM! Now they've just hit a new milestone and crossed over 10K followers on their Facebook Page! These two continue to get better and better, and they're definitely ones to watch if you want an adventurous life that this industry can give YOU! Reggie Pegues celebrated his first $100 bucks this week! And we’re pretty dang sure there’s likely to be a lot more coming to him. Congrats sir! Keep up the great work. Alex Ford overcame some major set-back this week. Here's what he had to say in his Success Story post inside the MLSP community this week. 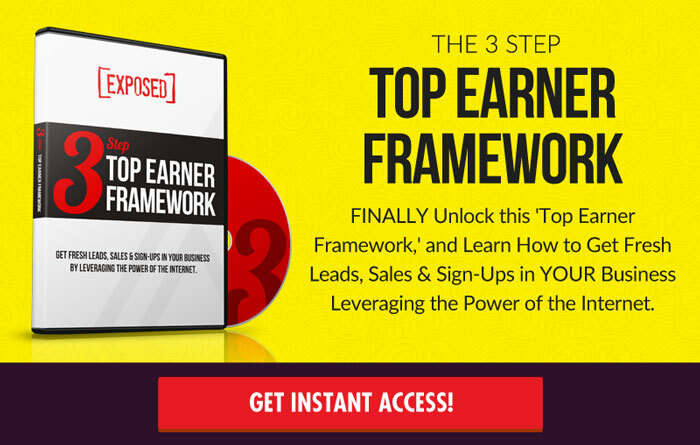 10 leads in 24 hours!! BOOM! That persistence and refusal to give up will pay off dividends for Alex forever! Boom! Hayat Tikabo is not only killing it with Facebook Ads, she's also teaching others to do the same! That’s how this amazing community works! Shoutout! They sponsored TWO new people into their business yesterday!! 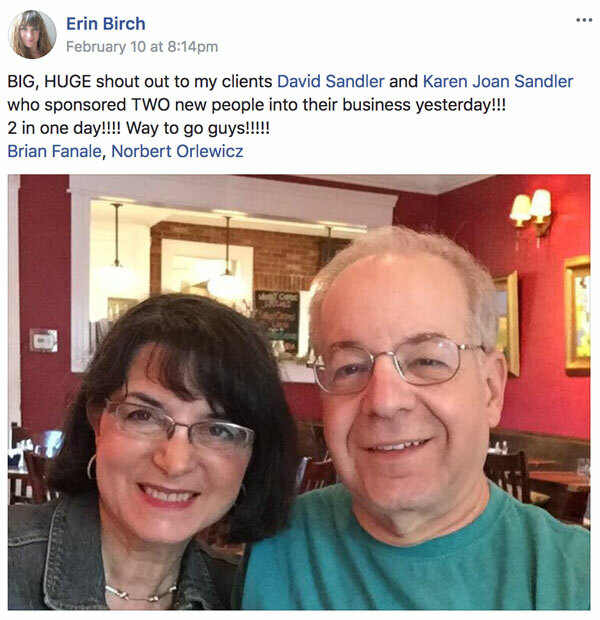 David and Karen Sandler signed up two people in one day, and got a nice shoutout from their coach Erin Birch. And now we're giving them a big one here!! Kendra Cannoy took action and got quick results. That's what it's all about. This week was her first official lead, but if she keeps it up, there will be plenty more where that came from! “Just had my first sign up and it was on Mastery!! Ian Tolson has been persistent and it's paying off. Big breakthroughs about to happen for Ian! That’s what happens when you learn the skills to building your network marketing business online! When a success story starts out like that, you know it's going to be good. And Colleen Burns certainly did not disappoint! 1200+ views on three different sites is amazing. Those are 24/7 views, that come through and take a look at what you’ve got to offer, and all the value that you have to provide through your content marketing…whether you show up or not! How did Erin Faye do that? That's the beauty about our amazing community, and the Success Story Saturday post. Those having success often just tell you exactly what they're doing. “This email just made my night! !” Getting a new lead, whether it's your first, or thousandth time always seems to make your day (or night) better! Jackie Susan not only got selected as the member of the month inside MSLP for February, but she also got a big shoutout from Lisa Torres! Jackie has obviously been smashing it with her business this week, and deserves all of this awesome recognition! Arnesia Therese Murphy took action right after watching just part of a training inside the MLSP back-office, and immediately got 6 leads. That's the way you get results. Learn and then DO! In fact that’s the only you can EVER get results. New member Lindsay Heinecke made an important move this week. Using Facebook LIVE to grow a home business puts her at a huge advantage over her competition. As most things that scare the heck out of us. Wow! Anne-Marie Clark is rocking it with her business. Not to mention that because of the shout out she got by Camille Tyler this week, we know that she signed up 11 people into her business last month. We love hearing these stories and the awesome shout outs from the community! Danny Reardon is seeing success with his recent Facebook Challenge. These things are working like crazy. Check Out the Full Success Story Posts Below! Then it’s up to YOU to go out and create your own success story, and let us know all about it! Can’t wait to hear YOURS!